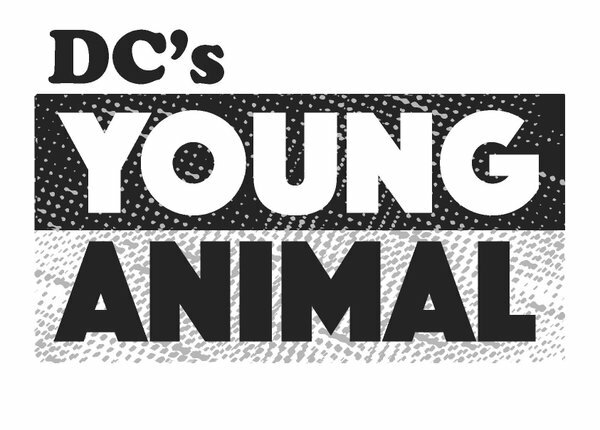 DC Comics' Young Animal imprint gets an update from Gerard Way (Umbrella Academy), who is running the line. 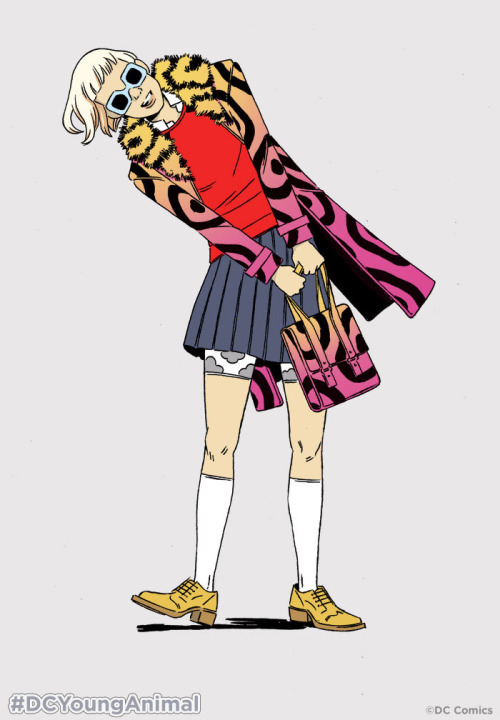 The line was announced last month and the fresh eclectic collection of titles was a small consolation to the turmoil going on at Vertigo. 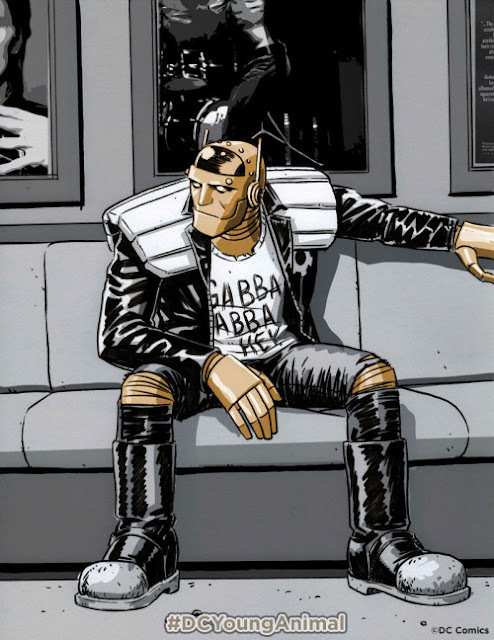 Nonetheless, Way has posted a lengthy update on imprint which features Doom Patrol, Shade: the Changing Girl, Mother Panic, and Cave Carson has a Cybernetic Eye. Way shares his excitement and some art while revealing a little of what approach each Young Animal title took to come to fruition. 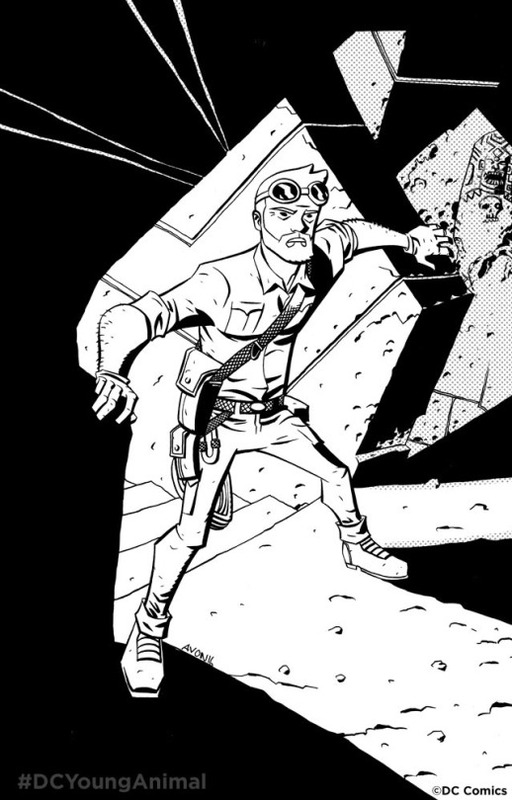 He extolls the artists involved like Michael Avon Oeming, Nick Derington, and Marley Zarcone. New updates are expected on a weekly basis from Way on his tumblr page. There's a lot of information to sift through but overall Way's enthusiasm and determination to create something special with Young Animal shines through. The line becomes available in September. Here are two pieces by DOOM PATROL artist Nick Derington. The first image is a shot of Cliff Steele, a.k.a. Robotman. This is the first image Nick created for fun, and we (myself and the editorial team) were so moved by it that I knew we needed to start working together immediately. There is something about Cliff sitting there and looking off, thinking to himself, that captures some of the energy we were going for. I’m also a sucker for Cliff’s costume from Grant Morrison and Richard Case’s run. The next image is super exciting; we get a look inside the process of creating a new character. 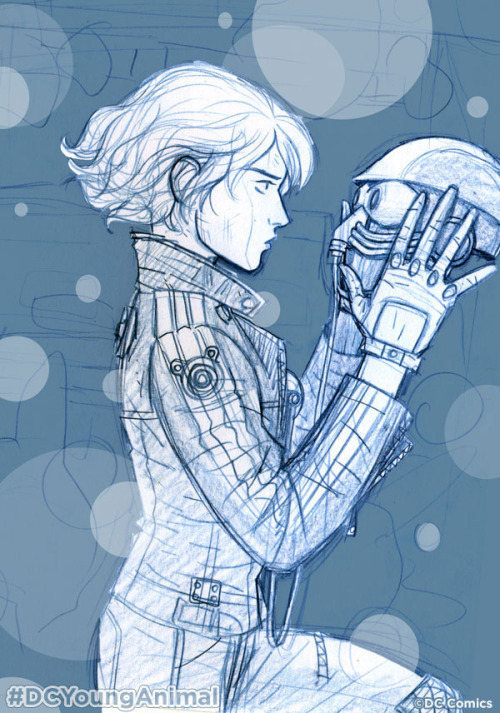 This is a concept for Casey Brinke, one of the newest members of the Doom Patrol, also drawn by Nick. I thought about the legacy of Shade a lot in the initial concepts/feelings/impressions. They are a character that goes through incredible change (hence the name), and is such an interesting character from the first incarnation, as created by the legendary Steve Ditko, and on to their experimental incarnation brought to us by Peter Milligan and Chris Bachalo. The character has a special place in my heart. Writer Jon Rivera and I go way back. We met in art school and stayed very close, working on developing television and film projects together throughout the years. Whenever I needed to bounce an idea off of someone or gain some insight, I went to Jon. When I thought about Cave Carson (and his cybernetic eye) in my head, I knew Jon would be thinking the same thing—so much potential here for humor and drama and…well, caves. But MOTHER PANIC is something different altogether. Even though Bruce Wayne is a famous person, I could bring things from my personal experience as a musician into the character of Violet Paige, a.k.a. Mother Panic, filtering these elements through a different lens: the red carpets, the galas, the weirdos you meet, the fame and the negativity, addiction, misery, combat. 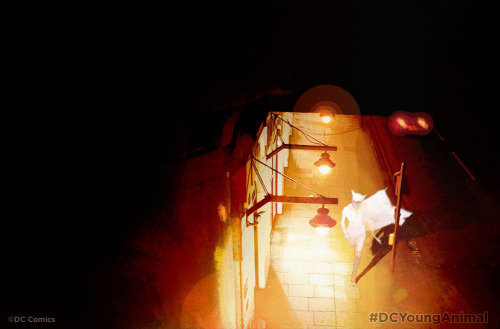 Tommy and I created a character that saw a very different Gotham, and we found a whole other world to explore in Gotham—the underbelly of Gotham’s wealthy and famous, the secret things that happen, the secret world. Tommy began designing the character using only some of my crude ballpoint pen notebook scribbles of the character. Mother is still a work in progress, but Tommy blows me away with every design.